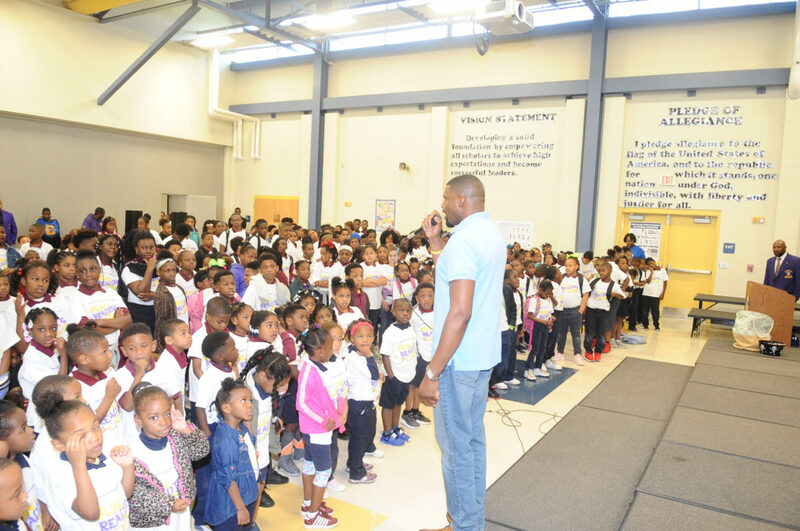 Baton Rouge, LA (PPN)-Almost a week later and the community is still talking about what happened last Friday, March 29, 2019, at Capitol Elementary School. 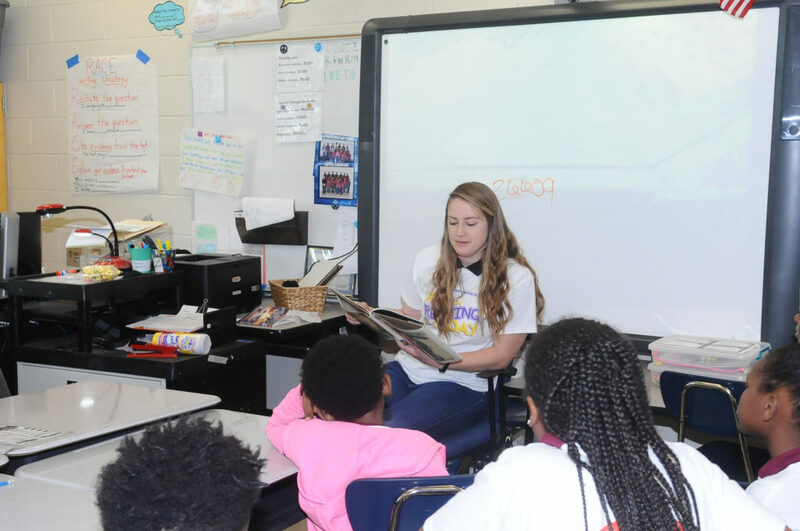 If you ever wonder how fun you can make reading than you need to take a page from the Lambda Alpha Foundation. 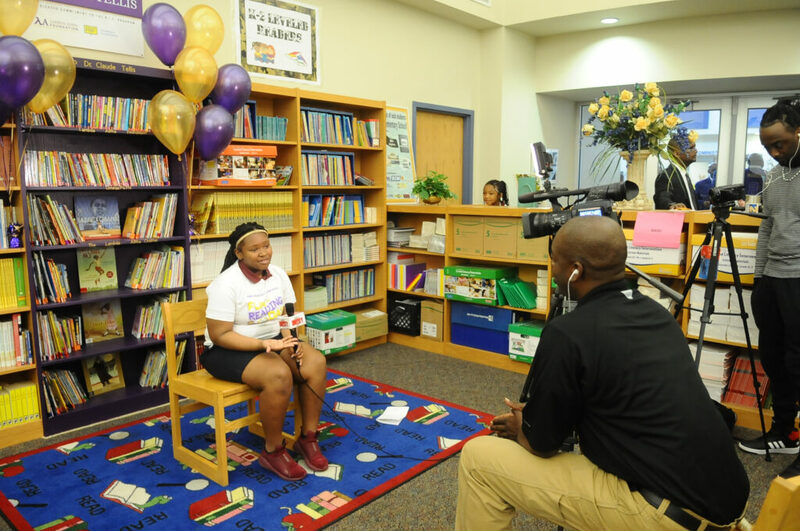 The Foundation donated more than 400 new books, painted a bookshelf purple, provided t-shirts for more than 400 students, and catered lunch for all volunteers and staff of Capitol Elementary. 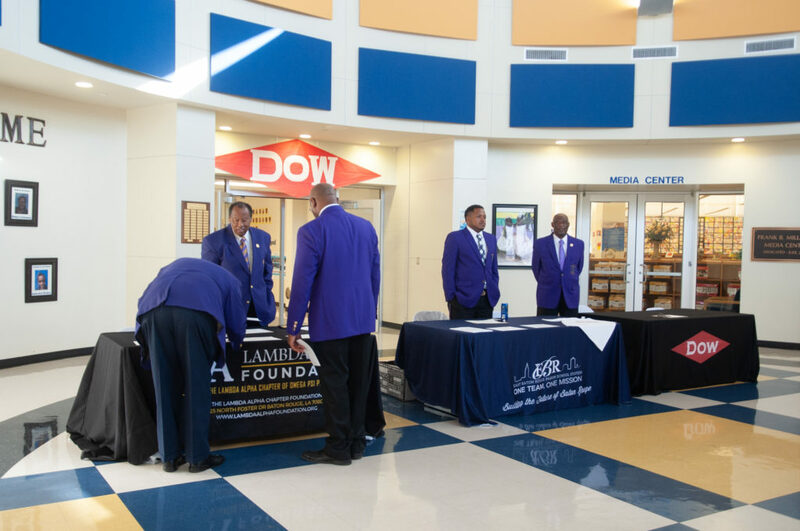 The Lambda Alpha Foundation is a non-profit arm of the Lambda Alpha Chapter of The Omega Psi Phi Fraternity, Inc. 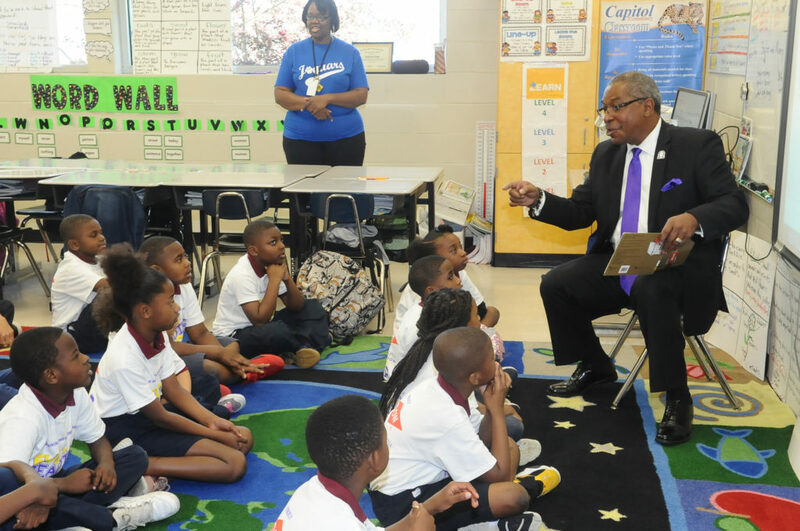 The Foundation is driven to bring awareness to the low literacy rate in underperforming schools. 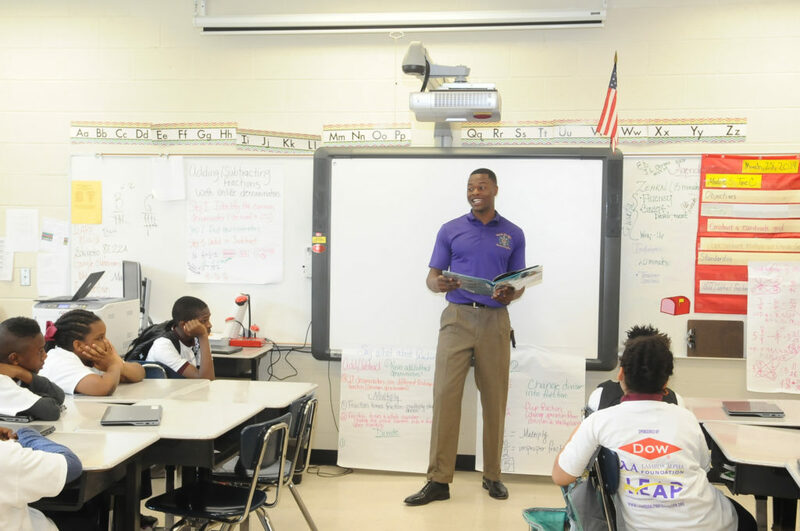 The Foundation mission is to build a stronger greater Baton Rouge Community. 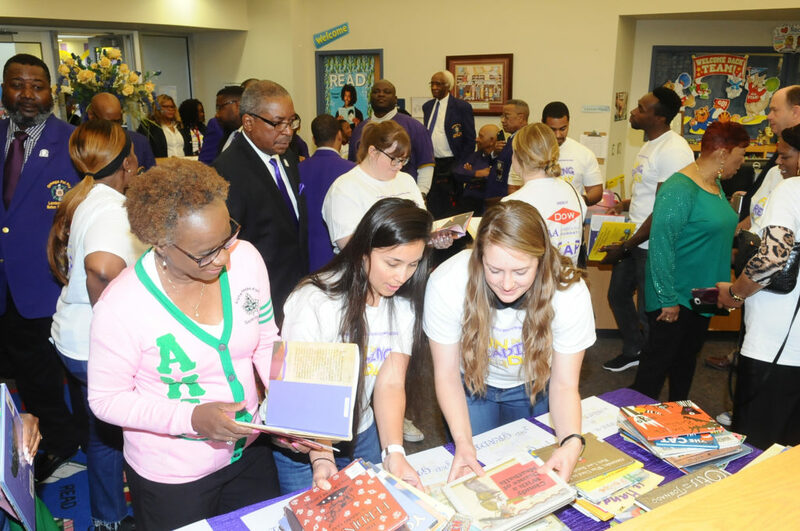 Their goal is to promote reading literacy, Post-secondary Education, and to provide mentorship for adolescent males and females from at-risk communities in the Greater Baton Rouge area. 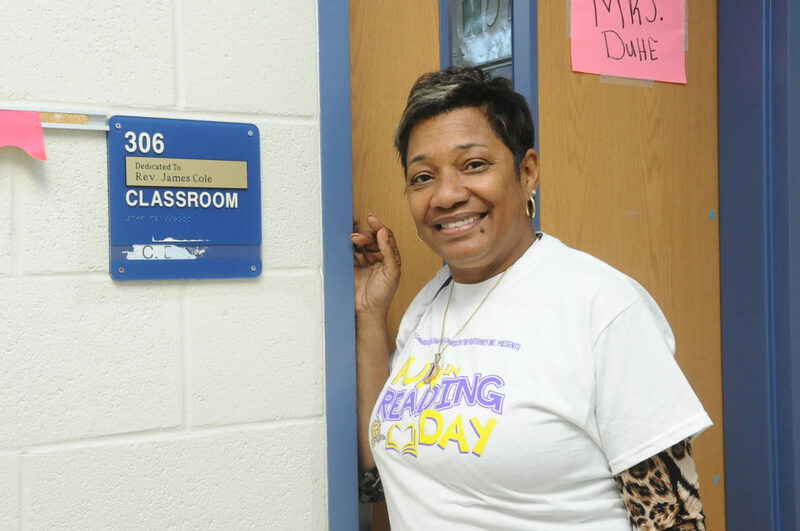 The Lambda Alpha Foundation partnered with Dow Chemical Company to bring Fun In Reading Day at Capitol Elementary. 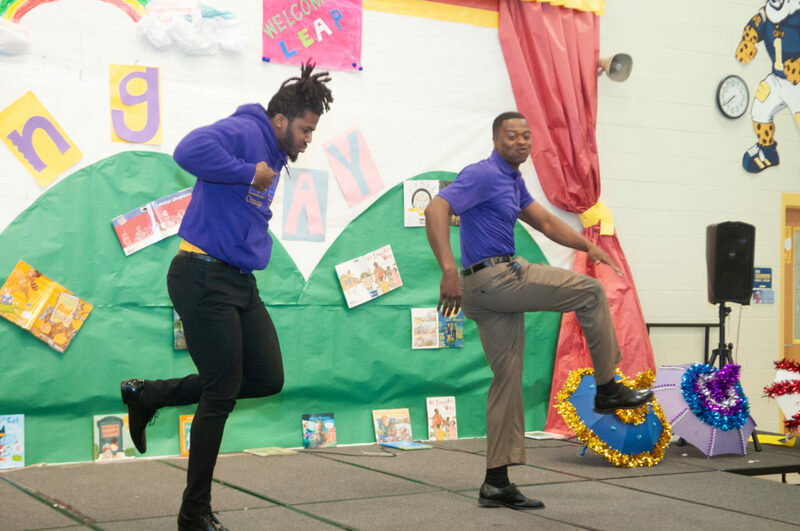 This partnership brought much-needed smiles to the children of Capitol Elementary. 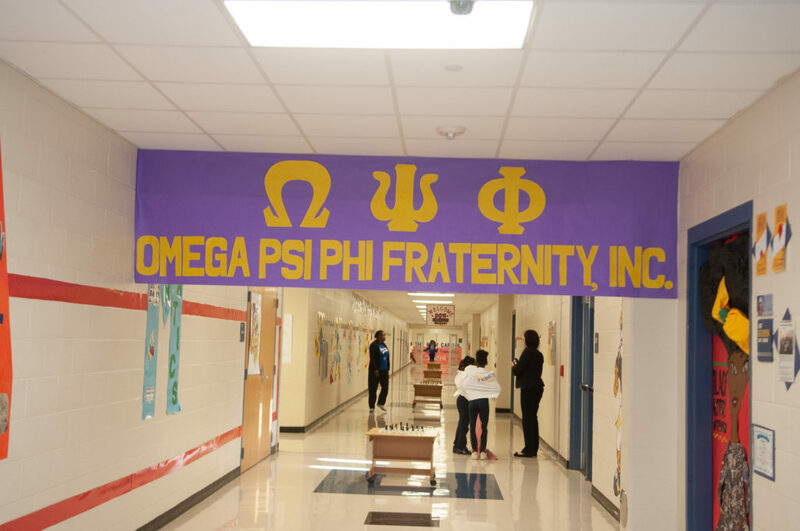 The day started with a pep rally and members from Omega Psi Phi Fraternity, Inc. giving out candy and gifts to children along with motivational speaking. 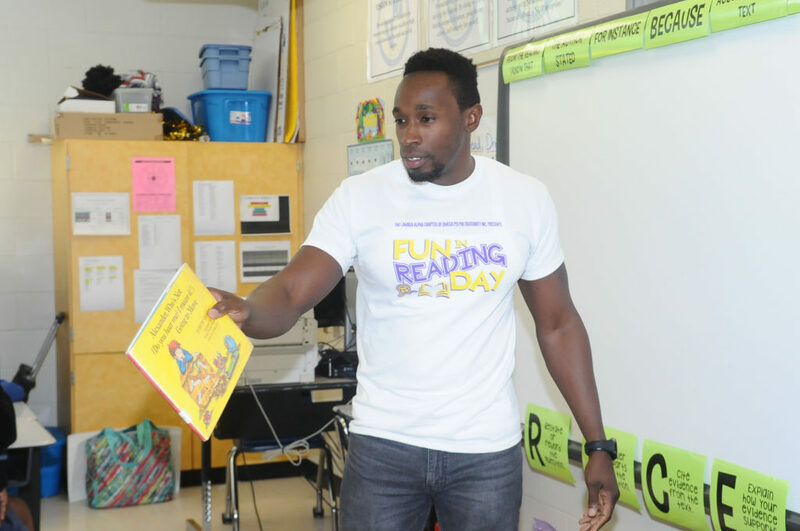 The organization expressed to the children the importance of reading. 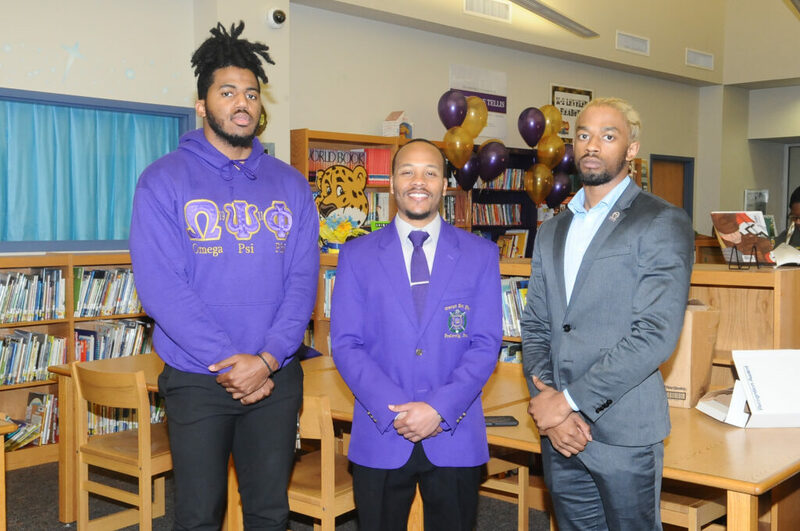 The pep rally was highlighted by the Beta Sigma Chapter of the Omega Psi Phi Fraternity Inc. presenting a step show and Motivational Speaker AV Mitchell hyping the kids up and giving his personal story on how important reading is. 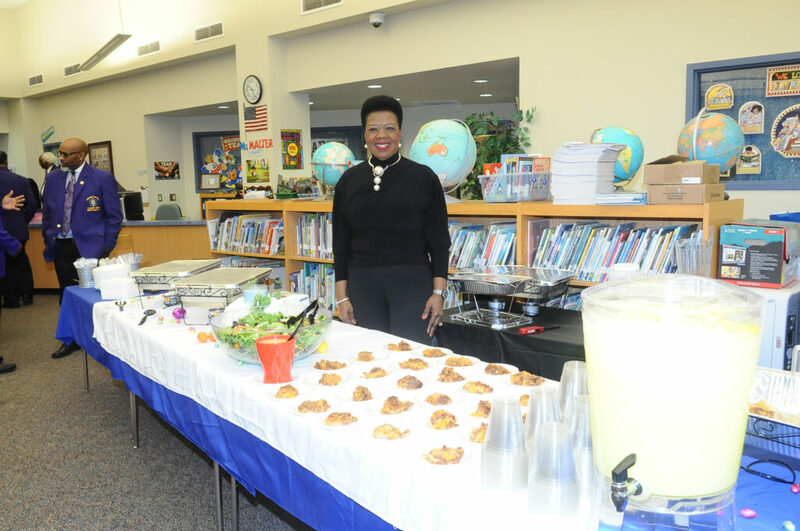 The day then shifted to a short program which started with Karla Johnson, principal of Capitol Elementary displaying an impressive impactful presentation of the students in unison reciting the pledge of allegiance, the Jaguar Pledge and the school’s mission statement. 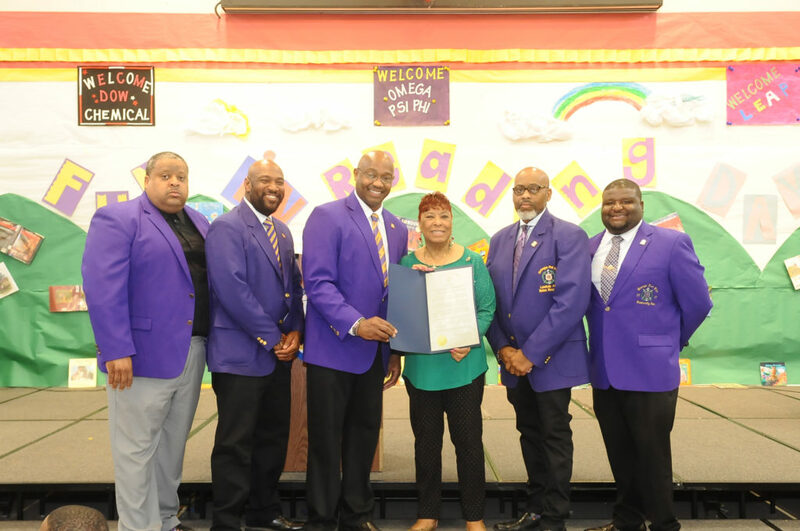 The program consisted of the following: Foundation Board of Directors giving the purpose behind the Fun In Reading Day Program, the Foundation giving out awards to Dow Chemical and Karla Johnson, the Mayor giving words of expression, and proclamations giving to the Foundation on behalf of the Louisiana House of Representatives and The Louisiana Senate. 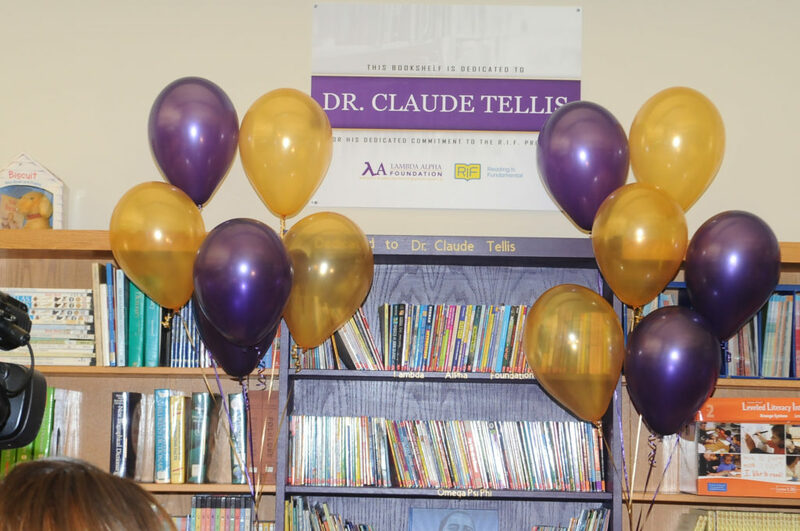 The day concluded with a ribbon cutting ceremony revealing a bookcase dedicated to Dr. Claude Tellis, MD for his commitment to the Reading is Fundamental Program. 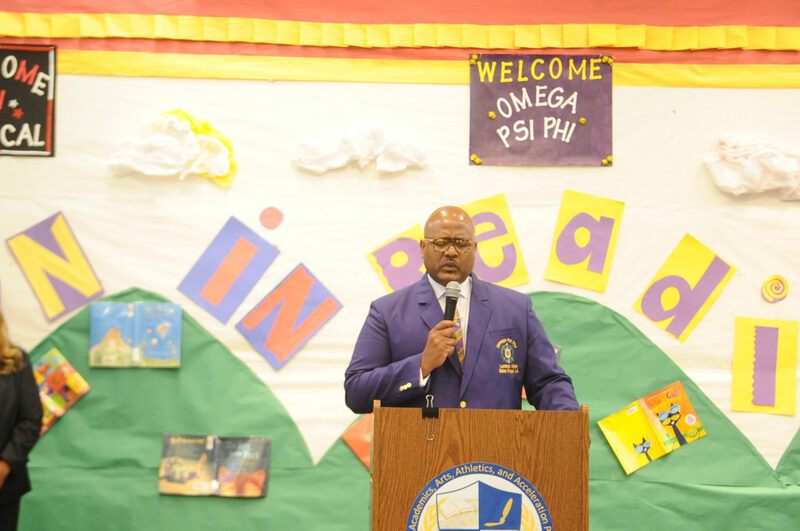 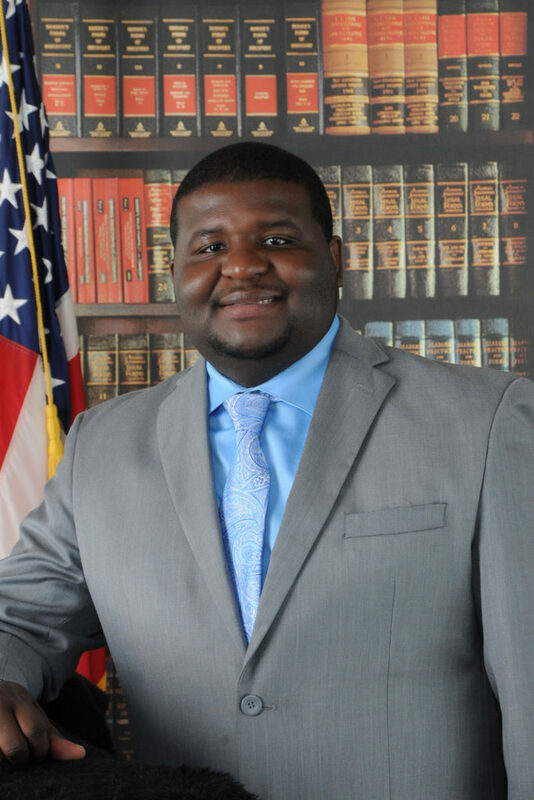 Dr. Tellis has been active with the Lambda Alpha Chapter for nearly three decades. 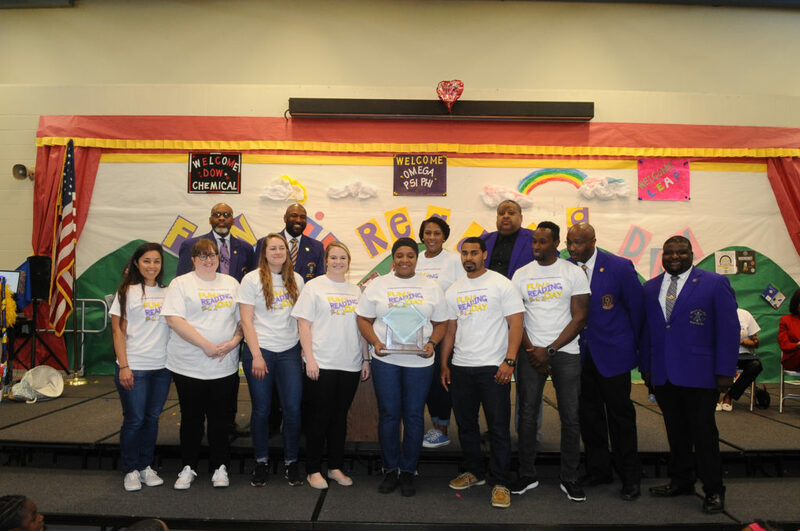 Following the bookcase ceremony, volunteers from Dow Chemical, Omega Psi Phi Fraternity, Inc., elected officials, social organizations, and community partners all teamed up together and read to the entire school. 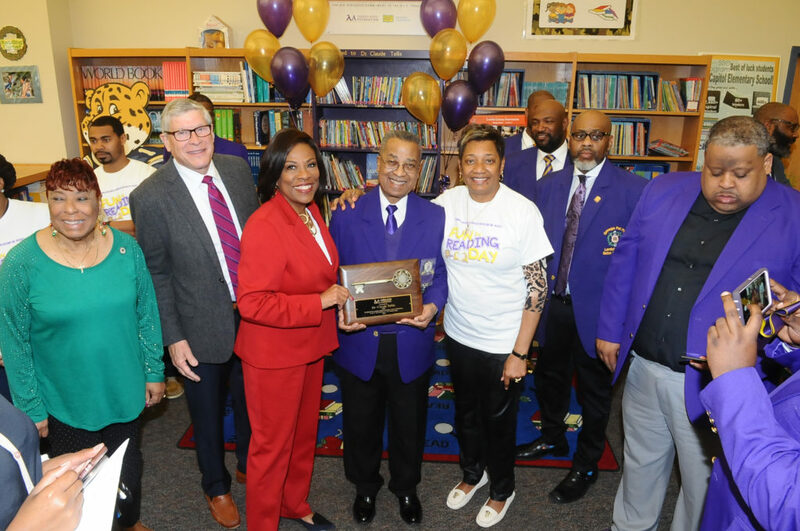 There were many notable elected official participants in attendance such as Mayor-President Sharon Weston Broome, EBR Superintendent of Schools Warren Drake, State Representative Denise Marcelle, State Representative Patrician Haynes Smith, State Representative Edmond Jordan, EBR Councilman Lamonte Cole, Councilman Trae Welch, and Councilman Dwight Hudson. 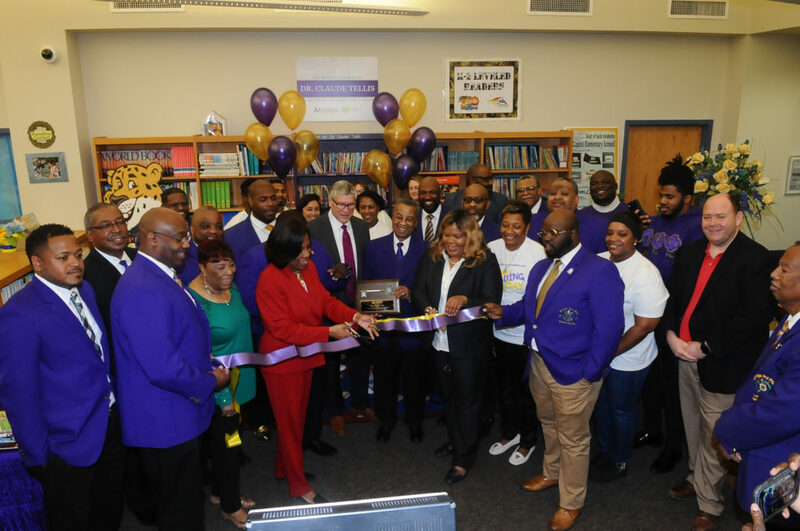 There were also representatives from the Attorney General’s Office, BREC, Commissioner of Higher Education, Alpha Kappa Alpha Sorrority, Inc, Delta Sigma Theta Sorrority, Inc and many local business owners in the Baton Rouge area. 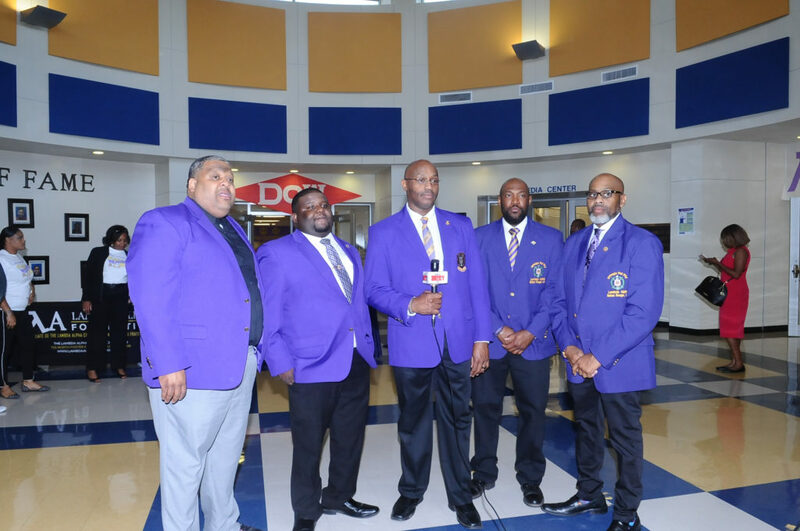 Copy Right Pen Point News 2019, All Rights Reserved.